Standing in Keighley’s leisure centre on the night of the 2016 Brexit referendum, Henri Murison felt he was getting a strong sense of what was driving voters in the town – and others like it – to vote in their droves for the UK to leave the European Union. 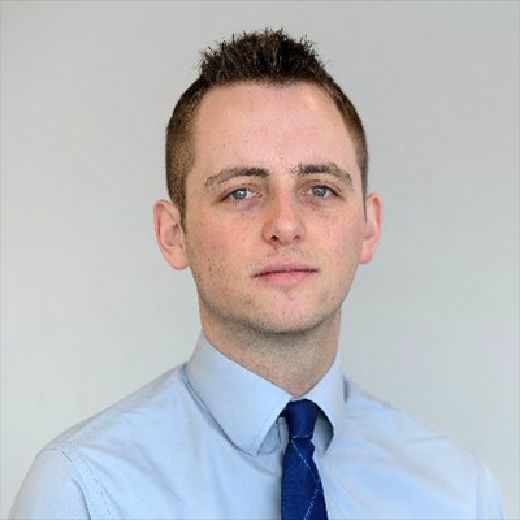 The 34-year-old was working as a public affairs manager at Yorkshire Building Society at the time but within a few months had moved to an organisation which he hopes will address the glaring disparity in economic performance he describes. Chaired by former Tory Chancellor George Osborne, the Northern Powerhouse Partnership was set up to develop consensus among businesses, civic leaders and others about how the region can be more successful. As the privately-funded group’s director, Mr Murison is at the centre of the debate about the North’s future and often finds himself called on to speak on its behalf in the national media. Key to the aim of continuing the Northern Powerhouse concept first coined by Mr Osborne as Chancellor in 2014 are the four key challenges of infrastructure and assets, education and skills, international competitiveness and leadership and learning. And though the fixation with Brexit in current political discourse makes it hard for other topics to get a look-in, he believes the nation’s departure from the EU and the need to re-balance its economy for the benefit of places like Keighley are inextricably linked. “At whatever end of the economic spectrum, all these places would benefit massively from being part of a more successful economic region, and the places that would benefit the most are some of the places which voted for Brexit,” he says. “There were a lot of people in the Treasury the day the Brexit referendum happened, saying ‘if only we’d thought of this earlier’, if the Northern Powerhouse had begun two, three, four years earlier maybe we would be in a different place as a country right now. Reflecting on the Government’s historic approach to the North, Mr Murison laments what he feels is a misguided decision to spend money on mitigating its socio-economic problems rather than investing in tackling their causes. 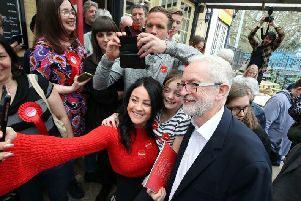 And rather than tinkering at the edges by promoting smaller, localised projects, he believes the answer lies in big-ticket items like Northern Powerhouse Rail, devolution of powers to local leaders and a major overhaul of education and skills. The NPP’s vision, though not one shared by everyone, is of a ‘virtual city’ across the North, equivalent to London’s and with a similar labour market but with the distinct qualities of places like his leafy home town of Ilkley. “The reason why it’s not unreasonable to think you can drive the North’s ambition to be greater than it is now, is that we were historically [greater],” he says. “We led the first industrial revolution, it’s not wrong to think we could lead the fourth one, it just requires a different level of investment and ambition than we have had in the past. “It’s not about my ambition or anyone’s ambition in government now or in the past, people in the North have to buy into this project, because if they don’t buy into it, a future government or future Prime Minister could decide to focus on something else and this will be lost. Growing up near Boroughbridge, Mr Murison’s formative political memories are those of Tony Blair and New Labour sweeping to power in the 1990s. Active in politics at university, he spent a year in Westminster after graduating before moving up to Newcastle, where his partner was a student. Elected as a local Labour councillor, he quickly became senior in the opposition party which successfully ousted the Liberal Democrats from power on Newcastle City Council. Two years were spent as the council’s cabinet member for quality of life before he moved to West Yorkshire to follow his partner and take up a role with the county’s recently-elected police and crime commissioner. His appointment as research director by Labour’s Mark Burns-Williamson caused a brief controversy, with opponents claiming it risked “politicising the police”. After missing out on the Labour nomination to be Keighley Parliamentary candidate to John Grogan, he worked at Yorkshire Building Society before taking on the NPP role in 2017.